The Health Ministry’s mission during this administration has been to contribute to making the population healthier; to harmoniously develop the healthcare systems in a people-centered manner; to strengthen control over those factors that could impact health; and to support the national medical attention network. The ministry’s goal is to attend the needs of individuals, families and communities in a timely manner. It is accountable to the public and seeks to promote people’s exercise of their rights and responsibilities. 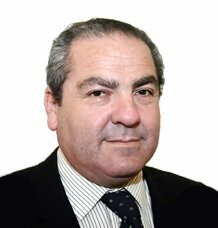 Mr. Santelices has a Degree in Surgery, specializing in Cardiovascular Anesthesiology and Transplants from the Pontificia Universidad Católica de Chile, and holds a Doctorate Degree in Public Health from the Universidad de Chile. He is an academic from the Dr. Salvador Allende School of Public Health of the Universidad de Chile. He has also been a Fellow in Cardiovascular and Research at the University of Alabama, Birmingham (United States). Mr. Santelices earned a Diploma in the Managing of Healthcare Institutions from PIAS at the School of Economics and Management at Universidad de Chile, and an MBA from Tulane University in New Orleans (United States). Since 1983, he has been the Medical Director of the Zurich Financial Group, advising them in regards to designing new health insurance products, risk selection and the design of assessment methodologies. He has held various medical positions at the Clínica Las Condes hospital, including Medical Management Director, Deputy Director of Planning and Development, and Cardiovascular Diseases Department Head. From 2010 to 2014 he was an advisor to the Strategic Development Department for the Health Ministry, collaborating on projects for continuous improvement and quality evaluation for hospital centers and health clinics. The following year Mr. Santelices consulted for the National Health Service (Fonasa), leading the team in charge of modifying payment methods. Until he was appointed Health Minister, he was Chairman of the Board of Directors for the nonprofit Corporación Médicos para Chile. Mr. Santelices has five children. Mr. Castillo earned a Degree in Surgery from Pontificia Universidad Católica de Chile, where he also achieved a Master’s in Anesthesiology. He was Dean of the Faculty of Medicine at Universidad San Sebastian, and is currently a researcher at the Latin American Center for Economic and Social Policies UC (CLAPES UC). During the first government of President Sebastián Piñera Mr. Castillo served as Healthcare Networks Undersecretary. 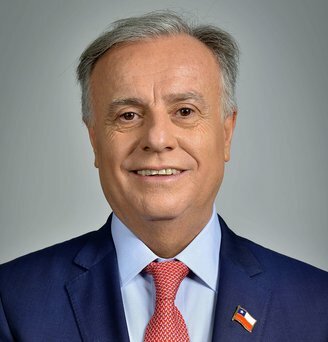 During his career, he has served in the following roles: Medical Director of the Pontificia Universidad Católica de Chile Health Network (2000-2008); Head Physician of Surgery, Resuscitation, Anesthesiology and Intensive Care at the Chilean Chamber of Construction’s Hospital Mutual de Seguridad; Director and Head Physician of Surgical Intensive Care at the Clinic Hospital, Pontificia Universidad Católica de Chile. Ms. Daza has a Degree in Pediatric Surgery from the Universidad de Chile. She has a Master’s Degree in Health Administration from the Universidad de Los Andes. She obtained a Degree in Evidence-based Research and Medicine from the same university and a Diploma in Health Administration from Technion – Israel Institute of Technology in Haifa, Israel. Since 2013 she has been the coordinator and a teacher for the Quality and Safety Management program of the Universidad Diego Portales. She was also Assistant Professor of Pediatrics at the Universidad de Los Andes. Ms. Daza was a member of the health program team for presidential candidate Sebastián Piñera. Previously she managed the health program for presidential candidate Evelyn Matthei in 2013, and she was the manager of the health program for presidential candidate Andrés Allamand during the primary election that same year. 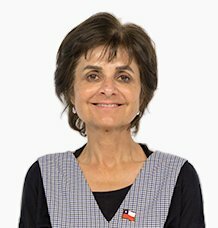 Ms. Daza is the director of the American Heart Association of the Clínica Dávila, Chile. The American Heart Association is a nonprofit organization which strives to lower the national and global level of cardiovascular diseases. She is a member of the board of directors for nonprofit Fundación Vivir + Feliz, which works to improve the quality of life for children battling cancer. She is also a member of the Chilean Pediatrics Society.